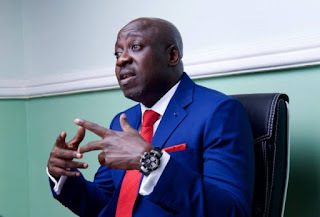 Less than 24 hours after denying news reports that he had dumped the All Progressives Congress (APC), Spokesperson of the ruling APC, Mallam Bolaji Abdullah,i has officially resigned his position..
Abdullahi, in a statement issued in Abuja on Wednesday, said that he could no longer continue to remain in a party where his role as the spokesperson had been usurped. The statement which he published on his twitter handle: @BolajiAbdullahi, said that he had served the party loyally but was unhappy with the way his loyalty was always being questioned. He said that he was committed to the party and that was why he contested and won the position of the spokesperson of the party in the last National Convention. Mallam Abdullahi was however silent on the party which he was moving to. He has now joined Senate President Bukola Saraki and Kwara Governor Abdulfatah Ahmed as the newest defectors.